(Bloomberg) -- House Democratic leaders shelved a plan to pass a bill increasing budget caps for the next two fiscal years amid infighting between their caucus’s liberal and moderate wings. "There are further conversations we must have to reach consensus between the wings of our caucus, left and right," House Budget Committee Chairman John Yarmuth said in an emailed statement. “We can’t surrender before the first shot is fired,” Khanna said, setting the tone for budget negotiations with Republicans and the Trump administration. The White House proposed keeping existing spending limits in place while giving the military $174 billion through a budget maneuver. Senate Republicans also put forward a budget resolution with the current caps in place. Without an agreement on the overall levels of defense and non-defense spending, federal departments could shut down at the end of September for lack of funding, and an automatic 10 percent cut would hit most government accounts. Senate Majority Leader Mitch McConnell said Tuesday he spoke with President Donald Trump last week and House Speaker Nancy Pelosi earlier in the day about starting a working group to negotiate a two-year spending caps deal. “I’m hoping this will be the start of a bipartisan process," McConnell said. Pelosi said she expects to sit down with McConnell soon to negotiate a bipartisan agreement on spending caps. House Republican leaders said the incident highlighted a lack of achievements by the new Democratic majority. "House Democrats couldn’t even put together a budget," second-ranking House Republican Steve Scalise wrote on Twitter. "Now they want to increase government spending by hundreds of billions of dollars without a way to pay for it. No budget = no values & no agenda." Democrats say they will still try to pass the 12 annual spending bills by June 30, even without agreement on top-line levels. The House on Tuesday passed a resolution allowing appropriations bills to spend a total of $1.295 trillion in 2020. Seven of the most vulnerable moderate Democrats voted against the measure. 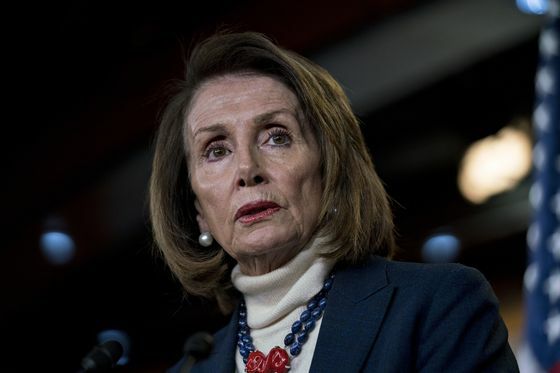 It remains unclear if House Democrats can pass the spending bills without an agreement on how to divide that total among the military and all other government programs. Hoyer predicted that any deal on caps -- and a unified Democratic fiscal message -- would come closer to the end of the calendar year. “We won’t be voting on it tomorrow” he told reporters. The failure to pass the budget caps legislation is the latest sign of tension between moderates and progressives. Progressives grabbed headlines over the past few months with costly proposals to provide universal government-run health care and curtail the use of fossil fuels, even as Pelosi and other leaders urged more incremental legislation to shore up the Affordable Care Act and tackle climate change. In reaction to the spending proposal from Democratic leaders that was scuttled Tuesday, moderates introduced a balanced-budget constitutional amendment to distance themselves from the liberal spending demands that may not play well in swing districts. Progressives said increasing the cap on non-military spending from $631 billion to $664 billion would give Democrats more leverage in upcoming talks. "We just took the majority. Why wouldn’t we want to go back to the era where we had parity between non-defense and defense?" said Congressional Progressive Caucus co-chairman Mark Pocan of Wisconsin. "Why wouldn’t you put your strongest request up front? Because you’re only going to go down from there." The lack of spending cuts to pay for the cap increases -- a feature of bipartisan cap deals in 2013, 2015 and 2018 -- worried some of the 27 members of the centrist Blue Dog Coalition, which took a unified position to oppose the progressive amendment. About half of this group also opposed Yarmuth’s underlying bill as well. "It increases the deficit and that is a concern for me," said Utah’s Ben McAdams.